HomeEmployee EngagementDoes it really matter what you wear in a call centre? From all my years working in a call centre (too many to remember!) there is always one constant topic of conversation: Who really cares what you wear in a call centre because the customers can’t see you anyway. 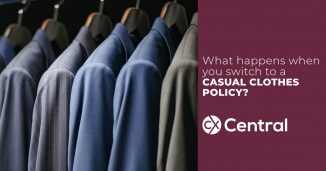 That very topic was explored in one of our recent articles on what happens when you change to a casual clothes policy but things really stepped up a notch recently when a call centre worker in the UK was sent home for wearing shorts during UK’s recent heat wave. By the way, the definition of a heatwave in the UK appears to be considered anything over about 25 degrees Celsius. Wow. But I digress. 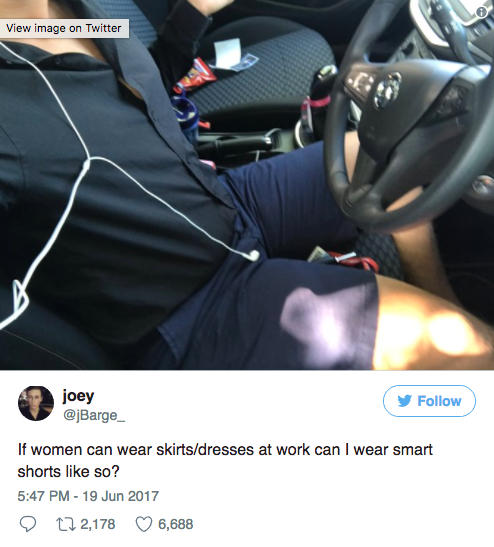 Anyway, call centre worked Joey Barge figured that if it was OK for women to wear skirts or a dress to keep cool, then it should be OK for him to wear dress shorts and a button up shirt when it’s hot. Seemed like a fair enough logic one would think. After all, there’s nothing like the feel of a cool air-conditioned breeze against ones bare legs in the office. 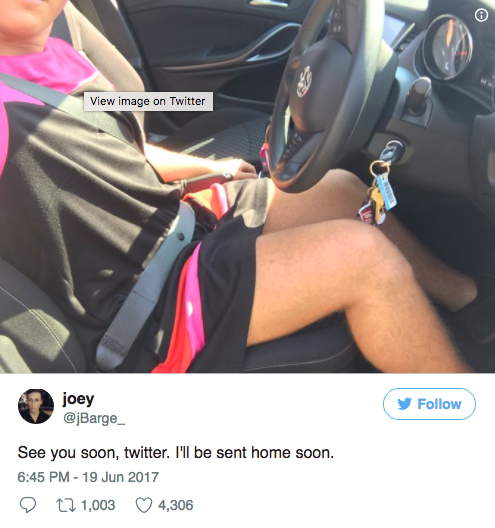 His employer, however, didn’t quite agree and on his arrival at work dressed in his shorts he was promptly sent straight back home. That’s where most people would have left it – “OK, it was worth a shot but at least I tried”. 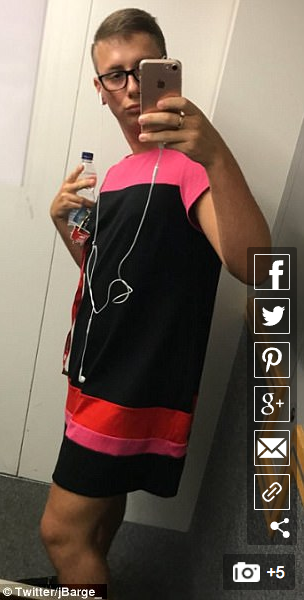 Deciding to exact some sweet revenge and prove a point, Joey went home and changed, and returned to work wearing a very striking black and pink dress! So naturally, on his arrival, his employers laughed and realised just how ridiculous their call centre clothing policy was. “Fair play Joey, you’ve made a great point and we really should just get rid of our crazy dress code right here and now” said the boss. Hell, it wasn’t even close! I mean let’s face it this is the UK here and they still think warm beer is OK so what hope have we got? The call centre bosses sent out an email allowing, and I quote, ‘gentlemen in the office’ to wear three-quarter length shorts in ‘black, navy or beige only’. Sounds like such a lovely place to work doesn’t it? Joey’s act of defiance may not be quite up there in the Braveheart stakes but I guess at least it did force a slight change in the rules. 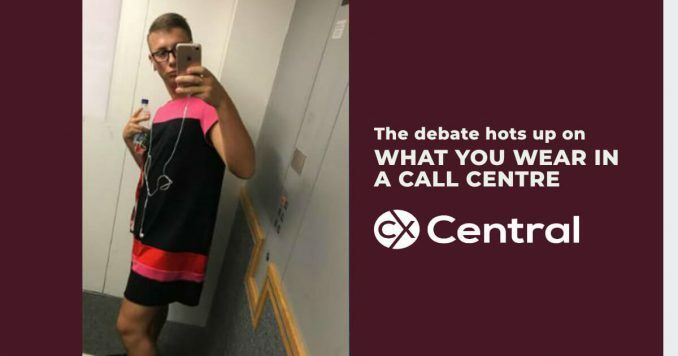 So, does it really matter what you wear in a call centre? I mean let’s face it, the customer can’t actually see what you’re wearing so what does it really matter? What’s important is that staff are comfortable and if you’re familiar with the term “happy wife = happy life” then the same logic applies in the workplace: happy staff = happy customers. Joey elected to keep wearing his dress for the rest of the day. With the average turnover in Australian call centre’s around 40% and the average tenure around 18 months it makes sense to try and hang onto great staff when you’ve got them! Surprisingly for a lot of people call centres, or contact centres are they are now more commonly referred to, are at the forefront of staff management as a way of increasing staff retention. Anyway back to this casual clothes thing. If companies like PriceWaterhouseCoopers can tear up their corporate clothes policy then surely its OK for the rest of us? Last I checked we are all adults that are responsible for our actions so the clothes I’m wearing should have no bearing on how you measure my performance. Yes them. You’ve probably heard their mantra chanted around the boardroom with “casual clothes = casual attitude” the go-to phrase. “We run a professional outfit here and just like customers can hear the ‘smile in your voice’, the wearing of casual clothes permeates through the phone and portrays our organisation in a bad light” is a line that I’ve actually heard before. I’m yet to find a scientific study that supports how casual clothes permeates through the phone but hey who am I to argue? We have customers visit the call centre so we need to look professional. The rest of the business wears corporate clothing and we need to be consistent. We want to exert our power and make you feel uncomfortable all day and spend money on corporate clothing that you could otherwise be spending on more important things like food, partying or even god-forbid saving for a house deposit (OK I may have made that one up…). So it’s not too hard to work out which side of the fence I’m on here is it? Now it’s not to say you can wear anything you like. It’s still a professional workplace and there needs to be some boundaries. 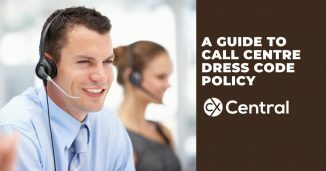 I wrote an article with some tips on implementing a dress policy in an Australian workplace that you may find useful. Do you work in a call centre where you still have to wear corporate clothes? Read: What really happens when you switch to a casual clothes policy?